GLMS held its General Assembly on June 21st 2016 In Nice, France, just before the opening of the EL/WLA Sports Betting Seminar. 35 participants were present for this second General Meeting since the Founding one in Brussels in January 2015. 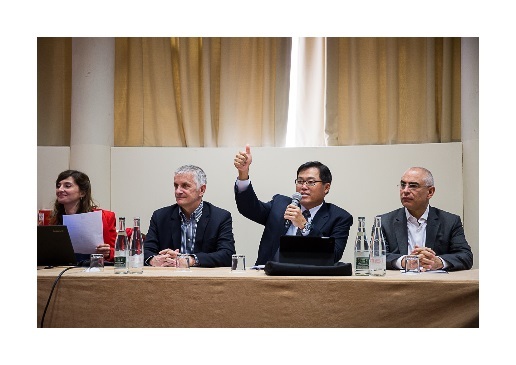 GLMS President Chin Siong Seah opened the meeting recalling that in the 17 months from Brussels to Nice, there has been significant steps taken, with the Executive Committee overseeing working groups to define GLMS strategic and operational orientations from 2017 onwards. GLMS is registered as an association in Switzerland, with headquarters in Lausanne. Administration has been driven throughout 2015 with the support of WLA office. Operations are handled through the long standing cooperation with Danske Licens Spil. The level of alerts emitted within GLMS members’ network has considerably increased in the past six months, due to the reinforcing of the dedicated team and standardisation of workflows, and also benefiting from Sportradar platform which represents a significant support to save time in flagging and further analysing potential alerts on football. This raise in alerts does not mechanically mirrors the match fixing threat scale, but reflects GLMS ability to further monitor and alert its network, which is supported by strong interactions built for years with FIFA, UEFA and the IOC, the international sport governing bodies GLMS reports to escalated cases. GLMS Vice-President Thierry Pujol presented for debate seven core issues that the Executive Committee has worked through with consultation and meetings in the past year. GLMS membership, sports coverage and partnerships, monitoring services providers and partners, operations’ location, etc. ; those matters were discussed with recommendations sounded at the participants with overall consensus. GLMS General Meeting will gather again in November 2016 in Singapore on the edge of the World Lottery Summit: http://www.wls2016.org/. In the four months to go, further assessment shall be made to set GLMS optimal administration and operational scheme for the years to come. This work is overseen by GLMS Executive Committee, with all expressions of interested welcomed: glms@world-lotteries.org.